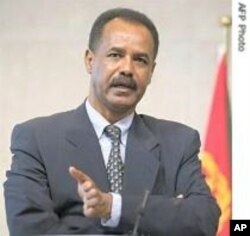 Eritrea's information minister denies Asmara is sponsoring Insurgents to destabilize Neighbors. Eritrea’s information minister has described as an unfortunate publicity stunt accusations that President Isaias Afeworki’s government is arming insurgents to destabilize both Ethiopia and Sudan ahead of their scheduled elections in 2010. Ali Abdu said the countries are exploiting the recent United Nations arms embargo imposed on Eritrea. “This is simply a political prostitution and it’s meant to exploit the recent UN resolution, and this click is a comic click of liars. I mean they don’t even blink when they lie. I think your government, meaning the United States molded this spoiled child in Ethiopia by offering political subsidy. As far as we are concerned to be frank with you, we never take into account these comic liars’ statement as serious,” he said. Security officials from Ethiopia and Sudan are currently holding a security conference in the northern Ethiopian town of Mekelle. 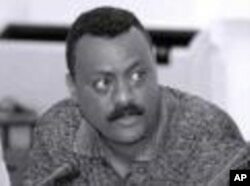 At the conference, Getachew Aseffa, Ethiopia’s security services chief reportedly accused neighboring Eritrea of arming terrorists along the Ethiopian-Sudan border to disrupt elections in both countries scheduled for 2010. Abdu denied the accusations, saying Asamara is against terrorism. “We fought terrorism long time before it became fashionable and it became a cliché in 9 /11 (September 11 2001). We fought it back when we were struggling for our independence in the late 1980’s. Why are these statements? Because we chose to be free and independent we didn’t allow ourselves to be servants like the regime in Ethiopia. So, this is the price that we are paying because we are free…we said no to neo-colonialism,” Abdu said. The United Nations Security Council last week imposed an arms embargo on Eritrea and vowed to slap financial and travel restrictions on its leaders for allegedly arming hard line Somali Islamic insurgents. The embargo reportedly followed months of international frustration over Eritrea's alleged role in arming al-Shabab, an Islamic insurgent group that is fighting to overthrow Somalia's transitional government. But Abdu said Washington is behind the UN imposed arms embargo. “In the first place it is not the United Nations…it is the United States. United Nations is simply being instrumental in this thing. As far as the resolution is concerned again it’s a disguise for other hidden agenda,” Abdu said. He said Asamara will continue its “constructive engagement” in stabilizing the Horn of Africa region despite the UN arms embargo.